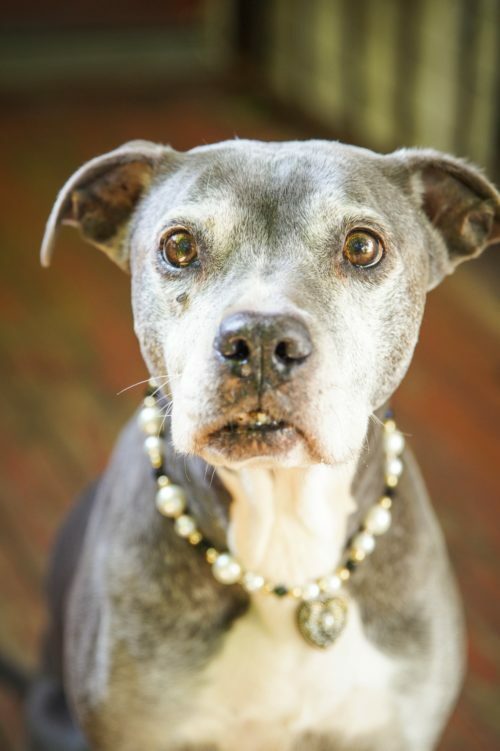 Silver was yet another stray Pit Bull who managed to survive on the mean streets of Los Angeles. In the City of Angels were homeless people barely make it, this stunning sterling girl managed to dodge speeding cars, gang members, other stray dogs and yet still remained an absolute sweetie. One of those “rare” blue dogs (we’re kidding… We get told that all the time but they’re now a dime a dozen in Los Angeles) she will make anyone look good walking down the blvd. We’ll even supply the bling!